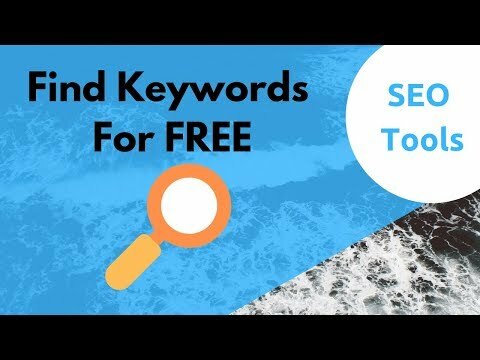 In this video, we’ll show you 4 free SEO keyword research tools that you can use if you’re working with a low budget. Keyword research is one of the core pillars of any SEO campaign. Without keyword research, you’re going to struggle to make your SEO projects successful. But what if you’re running a new business and you don’t have the cash flow to invest in paid SEO tools that are anywhere from $50-$250/month? This video will show you the free keyword research tools you can use for SEO. The first tool we’ll be covering is a free chrome extension. This extensions allows you to see the search volume of any keyword when you search on Google. Along with the search volume data for a keyword, this extensions also gives you the average cost per click and the pay per click competition of the keyword. This tool will help you get a quick overview of the kind of keyword you’re working with. The second tool we’ll be covering is a free tool that was created by a very popular marketer. This tool gives you the exact search volume data for any keyword based on the region you select. It also gives you the SEO difficulty along with the PPC difficulty for a keyword. If you want a free keyword research tool that is easy to use and also gives you information about your competition, you’ll want to check out the second tool we showcase in this video. The third tool gives you an extensive number of questions that people have asked based on the keyword you want to go after. This allows for an abundance of content ideas that you can write about on your blog. The 4th and final tool is the most accurate free tool by far.